OMICS International is organizing 6th World Congress on Bioavailability & Bioequivalence: BA/BE Studies Summit during August 17-19, 2015 Chicago, USA. OMICS International organizes 300+ Conference series Every Year across USA, Europe & Asia with support from 1000 more scientific societies and Publishes 500+ Open access journals which contains over 30000 eminent personalities, reputed scientists as editorial board members. The Bioavailability Bioequivalence Research Center and BA/BE global conferences aims to become a regional center of excellence for assuring the safety and efficacy of generic pharmaceutical products for human use. It plays a key role in the drug development period for both new drug products and their generic equivalents. These studies are also important in the post approval period in the presence of certain manufacturing changes. Information in the overall set of data that ensure the availability of safe and effective medicines to patients and practitioners can be discussed in bioavailability meeting. 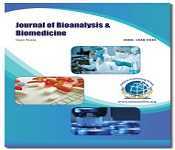 Bioanalytical method employed for the quantitative determination of drugs and their metabolites in biological fluids plays a significant role in the evaluation and interpretation of bioavailability, bioequivalence, pharmacokinetic, and toxicokinetic study data . These studies generally support regulatory filings . The quality of these studies is directly related to the quality of the underlying bioanalytical data. 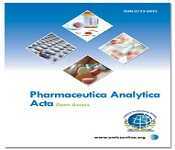 It is therefore important that guiding principles for the validation of these analytical methods be established and disseminated to the pharmaceutical community/pharmaceutical babe conferences. We are in a new era of drug discovery, technological advances have also played a decisive role, leading to the sequencing of the human genome and increased throughput at many stages of the drug discovery and development process. The process of drug development is challenging, expensive, and time consuming, although this process has been accelerated due to the development of computational tools and methodologies. The current target based drug design approach is incomplete because most of the drugs developed by structure guided approaches have been shown to have serious toxic side effects. Otherwise these drugs would have been an ideal choice for the treatment of diseases. Hence, rational drug design would require a multidisciplinary approach. Clinical research means an investigation in human subjects, other than a non- interventional trial, which is intended to discover or verify the clinical, pharmacological or pharmacodynamic effects of the medicinal products identify any adverse reactions to those medicinal products study absorption, distribution, metabolism and excretion of one or more such products with the objective of ascertaining the safety or efficacy of those products. Investigational used or assembled in a way different from the form of the product authorised under the authorization these are more useful in new drug development. BA/BE studies and conferences are required by regulations to ensure therapeutic equivalence between a pharmaceutically equivalent test product and a reference product. BE studies are done for Early and late clinical trial formulations, Formulations used in clinical trial and stability studies, if different Clinical trial formulations and to-be-marketed drug product When it comes to cost and productivitymetrics, it’s often said that what gets measured gets done. Part of this is human nature. Everyone has more piled on their plate than ever, and many workers find themselves constantly re-prioritizing their work activities. Bioavailability is a pharmacokinetic term that describes the rate and extent to which the active drug ingredient is absorbed from a drug product and becomes available at the site of drug action. The bioavailability of a drugsubstance formulated into a pharmaceutical product is fundamental to the goals of dosage form design and essential for theclinical efficacy of the medication. 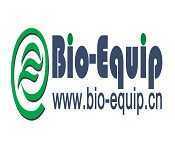 Bioavailability determination are performed by drug manufacturers to ensure that a given drug product will get the therapeutic agent to its site of action in an adequate concentration. Bioavailability is of clinical and regulatory interest. Genetic makeup of a patient importantly influence inherent pharmacokinetic, ultimately giving rise to inter patient variation in drug absorption, distribution, biotransformation, and elimination. 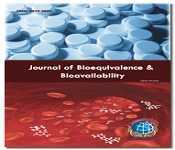 Bioavailability and bioequivalence of drug products, and drug product selection have emerged as critical issues in pharmacy and medicine during the last threedecades. Concern about lowering health care costs has resulted in a tremendous increase in the use of generic drug products; currently about one half of all prescriptions written are for drugs that can be substituted with a generic product With the increasing availability and useof generic drug products, health care professionals are confronted with an ever-larger array of multisource products from which they must select those that are therapeutically equivalent it is very helpful in in vivo techniques in new drug metabolisam. This section provides recommendations to the applicants, who undertake bioequivalence studies and/or who wish to request a waiver of in vivo bioequivalence studies for immediate release solid oral dosage forms. Guidance herein explains how the bioequivalence studies should be performed, and when biowaivers can be requested in the context of the WHO Prequalification of Medicines Programme. Data on bioequivalence provide a bridge between two or more pharmaceutical equivalents when safety and efficacy data are available for one of the products, but not for the other.For multisource products bioequivalence studies/bioequivalence assesement conferences are necessary to ensure therapeutic equivalence and interchangeability of the products. Bioequivalence can also be demonstrated by comparative clinical studies, pharmacokinetic studies or appropriate in vitro studies. Clinical pharmacology is the science of drug use in humans. Clinicians of all specialties pre-scribe drugs on a daily basis, and this is both one of the most useful but also one of the most dangerous activities of our professional lives. This track includes recent developments on behavioral pharmacology, Clinical toxicology, Clinical and experimental pharmacology, Clinical drug developments & therapeutics and also recent developments on posology. Pharmacogenetics is the study of inherited genetic differences in drug metabolic pathways which can affect individual responses to drugs, both in terms of therapeutic effect as well as adverse effects which will be discussed under this track. It includes andomized, two-period, two-sequence, single dose cross-over design, parallel design and replicate designs. Absolute and Relative bioavailabilty are discussed. Pharmacokinetics and Pharmacodynamics of the study designs make an important role. In pharmacology, bioavailability is a subcategory of absorption and is the fraction of an administered dose of unchanged drug that reaches the systemic circulation, one of the principal pharmacokinetic properties of drugs. There are many recent advances and factors affecting Bio availability. It includes Absorption, metabolism and Food effect of Drugs. Physico-chemical factors, first pass metabolism and Energy dependent efflux transporters are also discussed in BA/BE World Congress. BA/BE summit will bring together top dynamic pharmaceutical representatives under one roof that will address the key issues of the global market. It is a scientific platform to meet fellow key decision makers all-around the Pharmaceutical industries, Academic Institutions , CROs supply chain, Logistics practitioners making the congress a perfect platform to share experience, foster collaborations through the research talks & presentations to put forward many thought provoking strategies. The global market for generic drugs was worth $81 billion in 2008, $84 billion in 2009, estimated to be $168.7 billion in 2014. Sales of U.S. generic drugs currently dominate the market with $54 billion for the 2014. Japan’s generic drugs market is expected to have the highest rate of growth among major markets at 12.2%, increasing from $5.4 billion in 2009 to $9.6 billion in 2014. By 2016, it is expected that the value of the total global generics sector will have risen to $358 billion. The North American market is estimated to reach to reach nearly $107 billion in 2016 with an increase of 7.9% compound annual growth rate annual growth rate and Emerging market to reach nearly $115 billion.